ST. LOUIS (KGO) -- Johnson & Johnson has lost another costly court case in less than three months over claims that its talcum powder causes cancer. A jury in St. Louis has ordered Johnson & Johnson to pay $55 million to a South Dakota woman who claimed the company's talcum powder caused her to develop ovarian cancer. Court records show the jury returned the verdict in favor of plaintiff Gloria Ristesund on Monday. It comes after a St. Louis jury in February awarded $72 million to the family of an Alabama woman who sued Johnson & Johnson over ovarian cancer she said was caused by using its baby powder and other products containing talcum. 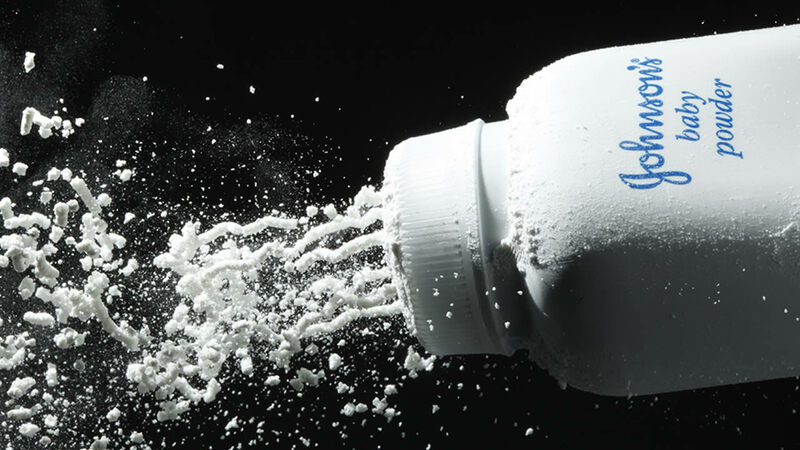 Some studies suggest using talc can raise a woman's risk of ovarian cancer by up to 40 percent. In February, a jury awarded $72 million to the family of a woman who died of ovarian cancer. Johnson and Johnson says the claims have no merit and that the powder is safe. A Johnson & Johnson spokeswoman says the New Jersey-based company is beginning the process to appeal the Monday ruling. Spokeswoman Carol Goodrich says the decision goes against decades of research that supports the safety of cosmetic talc. At least 1,200 similar cases are pending.